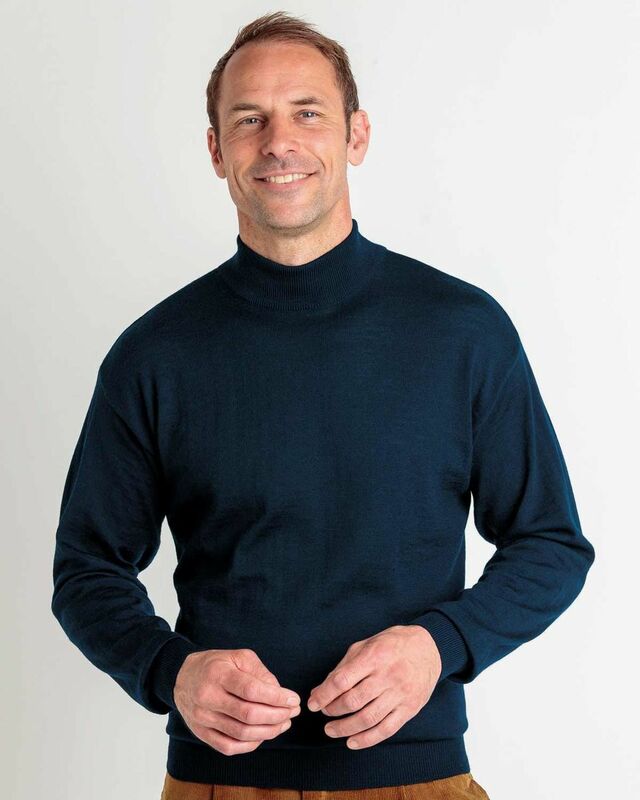 Mens Fine Gauge Merino Turtle Neck Sweater. Machine Washable. Mens classic design knitted in 21 gauge merino wool which has a soft and warm feel. This Turtle neck sweater is exceptionally good value.Perfect for looking stylish this season.